The following is Part 2 of the full transcript from my interview with a local newspaper in Asheville, NC. This newspaper has over 75,000 readers every week and 800 locations throughout Western North Carolina. 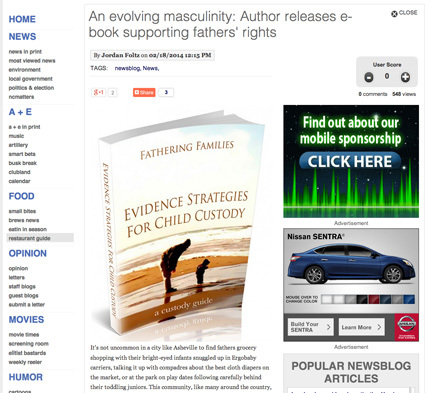 *For the privacy of Erik’s Family and the Son’s Mother, the Author’s last name has not been used in any content. No person’s actual name has referenced throughout our articles or custody guides. The following is Part 1 of the full transcript from my interview with a local newspaper in Asheville, NC. This newspaper has over 75,000 readers every week and 800 locations throughout Western North Carolina.